During childbirth, many medical situations can occur that complicate the process. One of these situations is clinically known as Infant Shoulder Dystocia. Infant Shoulder Dystocia is a medical condition that can hurt both the newborn as well as the mother. It is a serious form of birth injury. This page will highlight important elements regarding Infant Shoulder Dystocia as well as important factors to consider when filing for a claim. If you or someone you know has suffered injuries due to Infant Shoulder Dystocia, it is important to know that there may be an opportunity to receive restitution for the injuries sustained. Consulting a qualified medical malpractice attorney is essential when seeking to file a medical malpractice claim for Infant Shoulder Dystocia. As previously mentioned, Infant Shoulder Dystocia can happen in just about any delivery process. There are several circumstances, however, that can increase the risk of Infant Shoulder Dystocia occurring. The following are a few of the possible risk factors. When patients with these risk factors give birth, doctors should be extra cautious in preventing injuries like shoulder dystocia. While these are some common risks that could cause Infant Shoulder Dystocia, not having any of these symptoms can still produce the medical condition. Following a trained medical expert’s advice is one of the best ways to ensure that Infant Shoulder Dystocia does not occur; and in the event that the condition does transpire, a medical expert’s special care can be one of the best methods in ensuring the wellbeing of both the mother and the infant. If you have reason to believe that you or the baby was injured due to Infant Shoulder Dystocia that was improperly cared for or not screened properly, consult the aid and support of a professional attorney who can help you file for a medical malpractice claim. Simply because your situation did not meet the risk factors does not mean that a medical negligence did not occur. With the support of a qualified medical malpractice attorney, you will be able to understand your options. Infant Shoulder Dystocia is a medical condition that is difficult to prevent but without the diligent care of the medical specialist overseeing the delivery, Infant Shoulder Dystocia can lead to severe consequences to both the infant as well as the mother. 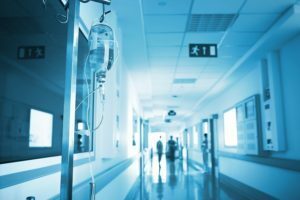 If you or someone you know has suffered injuries from Infant Shoulder Dystocia due to the negligence and carelessness of a medical specialist, speaking to a medical malpractice attorney can provide the guidance necessary to file a claim. Filing a medical malpractice claim can be a difficult matter. The claims process can be difficult to understand and there are also time limitations that should be considered. Every state will have laws that place a statute of limitations, giving a victim a very limited opportunity to file for a claim. For instance, the State of California allows one year from the time the victim knew of the injury or three years since the injury took place. In order to better understand the current laws that involve filing for a medical malpractice claim, consult an experienced medical malpractice attorney.